The #BrainLifeGoals campaign is an initiative of EFNA that aims to raise awareness of the impact of neurological disorders. Sharing #LifeGoals has become a popular trend in social media. #LifeGoals are the often frivolous wishes people have – for example to own a designer handbag, meet a particular pop star or drive a Maserati. This campaign puts a new spin on the trend by instead sharing #BrainLifeGoals. In support of this campaign, EFNA are offering grants, of €2,500 each, to 5 projects which best reflect the theme of the campaign, raise awareness and improve understanding of neurological disorder. 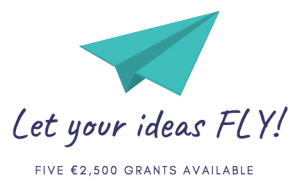 Grants will be shared with registered non-profit EU/EEA-based organisations only. Therefore individual applicants should work on their project in association with an appropriately registered patient organisation at either National or European level. A panel of judges will be formed to assess applications. The panel will be comprised of representatives of EFNA, project sponsors and a digital expert. Deadline for application is June 14th 2019.